John Spiers, known better in folk circles as Squeezy, has made a name for himself as one of the leading squeezebox players of his generation. 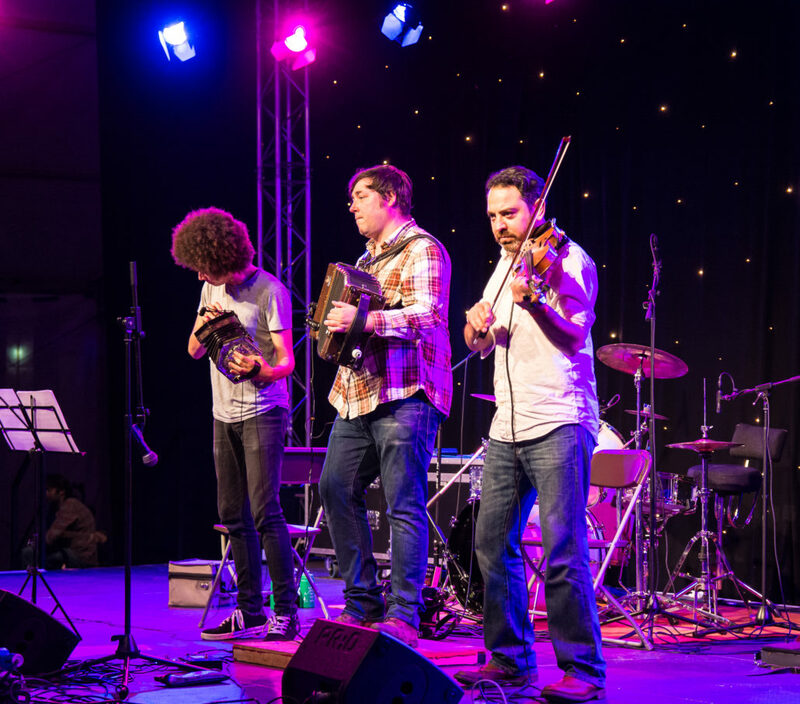 Now the John Spiers Ceilidh Band, that was put together especially for Shrewsbury Folk Festival in 2018, takes the rhythmic driving force of the bellows behind Bellowhead and focuses all that energy on his first love, playing for dancing. The band, hand-picked from the finest musicians on the folk scene will be mixing together John’s catchy trademark self-penned dance tunes with solid traditional English repertoire and an infectious groove.